Tuesday was a much-ado-about-nothing type of day for GMDM and the Royals. No moves were made, but talks with a number of GMs and agents are still ongoing. R.A. Dickey‘s name is still flying around the trade rumor mill, with the Royals being one of the teams still in the mix. The Mets appear to be willing to part with the Cy Young award winner, but are asking for premium talent in return – like Wil Myers. Don’t get me wrong, Dickey is a great guy and fine pitcher. 2012 was a career year and he was the ace of the Mets’ pitching staff. But the guy is 38. No general manager in their right mind (I’m assuming) would give up a player of Wil Myers’ caliber for two years of an aging starting pitcher who gets by on basically a trick pitch. Granted, knuckleballers typically pitch well into their 40s (Tim Wakefield, Phil Niekro, Charlie Hough, Tom Candiotti, etc. ), and Dickey seems to have finally figured out how to get hitters to swing and miss. But Dickey will be in the final year of his deal in 2013 and will more than likely test the waters of free agency. So giving up six years of Wil Myers, who projects to be a 25-30 HR-type hitter that should supplant Jeff Francoeur in right field sooner rather than later, for one year of R.A. Dickey doesn’t make much, if any, sense. Royals officials have since gone as far to say that they definitely will not involve Wil Myers in any deal for R.A. Dickey. There is another rumor being floated around that the Royals countered the Met’s offer by requesting Dickey in exchange for Lorenzo Cain and Jake Odorizzi. Again, this is a rumor. No official reports have come out that I have seen confirming the offer, but it may be a fair deal for both sides. Other teams with interest in acquiring Dickey are the Rangers, Dodgers, Red Sox, Orioles, Nationals, Diamondbacks, and Blue Jays. The Royals are still in on starter Anibal Sanchez. It’s been said that Anibal is looking for a multi-year deal worth roughly $15-20 million annually and is considered to be well out of the David Glass’ price range. But the Royals are being noted as one of the more active teams during the Winter Meetings thus far. The Royals are also one of a handful of teams with serious interest in signing Brandon McCarthy. McCarthy will come considerably cheaper than Sanchez, as a one or two-year deal for him seems likely right now. He went 8-6 with a 3.24 ERA in 18 starts for the A’s last season before his season ended after he was struck in the head by a line drive – causing him to undergo successful brain surgery. Other teams in on McCarthy include the A’s, Red Sox, White Sox, Cubs, Twins, Diamondbacks, Angels, and Rangers. In any case, if you have a Twitter account, you should definitely give him a follow. In a live chat yesterday, Royals beat writer Bob Dutton mentioned that the Baltimore Orioles have mild interest in acquiring right fielder Jeff Francoeur. The Royals likely wouldn’t get much in return for Frenchy and would probably have to throw in a few million in order to make the deal fair. 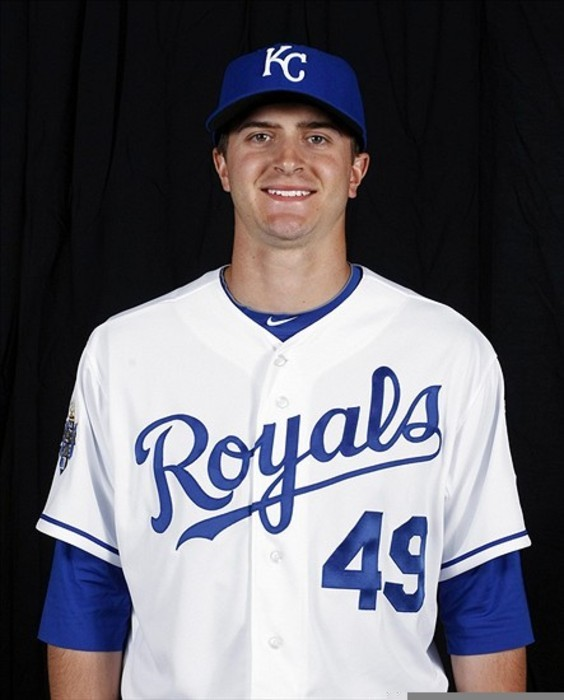 As far as I’m concerned, no matter what the Royals get in return, Dayton Moore needs to pull the trigger on this one. Immediately. Ned Yost wants the Royals to take a new approach at the plate next season. In short: More power (somewhere I can here Tim “The Tool Man” Taylor grunting…). The main reason the Royals opted to part ways with former hitting coach Kevin Seitzer is that he preached that hitters to hit gap-to-gap and up the middle rather than swinging for the fences. Enter Jack Maloof and Andre David. While both will be hitting coaches, Maloof will hold the official position while David will serve as an assistant. Both were previously hitting instructors within the Royals’ minor league system. 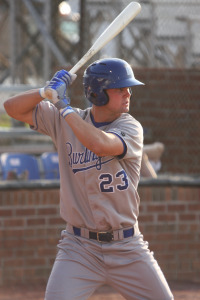 2012 was a banner year for Big Bill, as he was a first-time All-Star, a first-time Silver Slugger award winner for his role as the team’s DH, and was selected as the Royals’ player of the year for the third time. He also played in a career-high 161 games. Blue Jays DH Edwin Encarnacion finished second in the balloting. The only other Royal to win the award was Hal McRae, who did it three times (1976, 1980, 1982). It’s the time where Royals fans can forget about whose on the team right now and look ahead to the future. Because, y’know, we don’t do enough of that around here. Baseball America, as part of it’s annual rankings, has released it’s list of the Royals’ top 10 prospects for the 2013 season. There’s no doubt in my mind that you will be very familiar with most of the names they included, while others may require a little clarification. Wil Myers just may be the top prospect in the game. If not, then he’s certainly in the discussion. We’ve done plenty of Wil Myers coverage here at Royal Blues, and I’m sure you have all heard about his unreal 2012 season that ended with him not getting a call up to Kansas City. Dayton Moore may have kept Myers down in Omaha to delay his service time. If that is the case, barring something major happening in the coming months, Wil could remain in Omaha come Opening Day 2013 for the first 30 or so games. After that, right field should be his if it isn’t already. All this being said, I expect Dayton’s man-crush on Jeff Francoeur to start in right to begin next season. But expect to see Wil in Royals’ blue sometime next season. 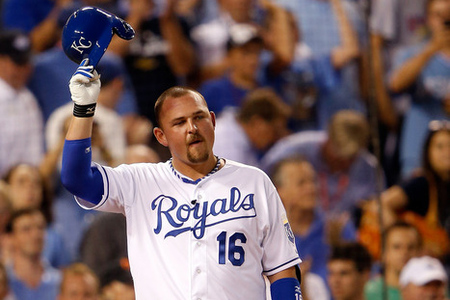 Before having surgery after the season to remove “loose bodies” in his right elbow, the Royals’ no. 1 draft pick was fairly impressive. In 9 starts (3 in Rookie Ball, 6 in Low-A), Zimmer was 3-3 with a 2.03 ERA and 42 K to 8 BB in 40 innings pitched. His fastball clocks in anywhere routinely between 92-98 mph, while his hard-biting curveball is rated as the organization’s best by Baseball America. He also throws a decent slider and is developing a solid change-up to add to his repertoire. Kyle has the makings of a pitcher who could advance through the Royals’ system quickly and could be in AA NW Arkansas (or possibly AAA Omaha) by next season’s end. He should develop into a top-of-the-rotation pitcher. It’s too bad Bubba isn’t knocking on the door to Kansas City yet like Mike Trout and Bryce Harper did in 2012. But Mr. Starling is still in need of work in the minors thanks to his limited baseball past. Regardless, he had a good showing in his first season in the Rookie league. In 200 AB, he worked a slash of .275/.371/.485, hit 20 XBH (8 doubles, 2 triples, 10 HR), 33 RBI and had 10 SB in 11 attempts. However, he struck out 70 times in his 200 AB, which will need to be addressed this offseason. Starling is still a fairly raw player, but his combination of power, speed, and major league-ready defense will allow the Royals to overlook some of his short-comings. It’ll still be a while before Bubba makes his way to The K, as it looks like he’ll begin the 2013 season in Low-A ball. “Lil’ Pedro” came on in a big way last season, earning him a spot on the World Team in the Future’s Game, as well as a promotion to AA NW Arkansas. At 5’11” and 140 lbs, Ventura is able to dial-up his fastball (rated by BA as the organization’s best) to triple digits at times, but normally lobs it in the 94-97 mph range. He also throws a hard-breaking curveball that he routinely uses to get hitters to chase when he’s ahead in the count. His change-up is still developing, but he just needs to use it more often for it to be effective. It’s still a question as to whether his height will translate well to being a successful starting pitcher in the major leagues. 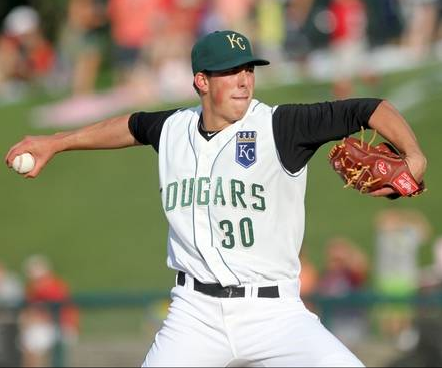 Ventura likely will start 2013 in NW Arkansas before being promoted to Omaha and possibly Kansas City before season’s end. Thank goodness Jake Odorizzi’s strong season allowed us to slightly overlook Mike Montgomery and Chris Dwyer’s stinkers. Seen as they key to the Zack Greinke trade, Izzy saw his 2012 season end in Kansas City. While not overpowering, he’s able to deliver all four of his pitches well, while none of them standout more than the others. His low-to-mid 90s fastball has some sink to it, making it probably his best pitch. He has a smooth, repeatable delivery, but needs to improve on his command to make it all come together. He’ll get a chance in spring training to earn a spot in the rotation. Even if he doesn’t do so, don’t expect him to stay in Omaha for long. At 19, Jorge Bonifacio is already showing signs of becoming a high-average hitter with exceptional power potential and plate awareness. In 2012, while playing in Low A ball, Bonifacio owned a slash of .282/.336/.482 while knocking 36 XBH (20 doubles, 6 triples, 10 HR). To go with his projectable bat is a terrific arm that suits him perfectly to become a future corner outfielder, particulary in RF given his average to below-average speed. If he continues to develop along the same line, he projects as a hitter likened to Billy Butler: hitting for average, both pull and opposite field power, while driving balls deep to both gaps. Class A Wilmington is where he’ll start 2013. Mondesi is already displaying skills that are well beyond his age. 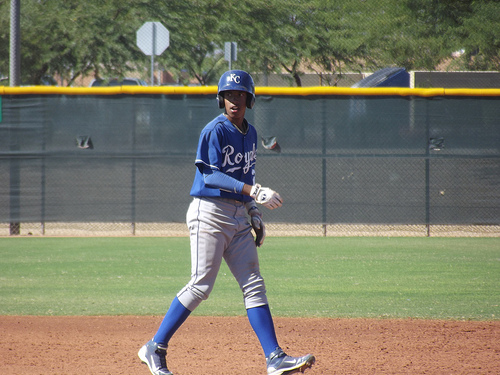 The Royals signed the son of former big leaguer Raul Mondesi in 2011 at the ripe age of 16. 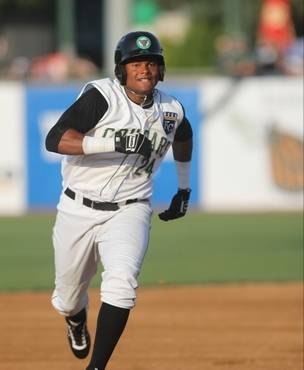 In 2012, the switch-hitting SS hit .290/.346/.386 in 207 AB for Rookie level Idaho Falls. He also drove in 30 runs and swiped 11 bases in 13 attempts. He’s already developing as a quality hitter, showing that he can drive pitches to deep into gaps and hit for some pop (3 HR in 47 games). His greatest assest though may be his smooth skillset in the field. He has a great glove, soft hands, and shows the ability to get to plenty of balls in the hole that most other shortstops at his age simply can’t reach. He did have 23 errors last season, but those numbers should go down with time. Given his youth, his ceiling remains very high. He could be in Low A ball to start 2013, making him the youngest player in the league. 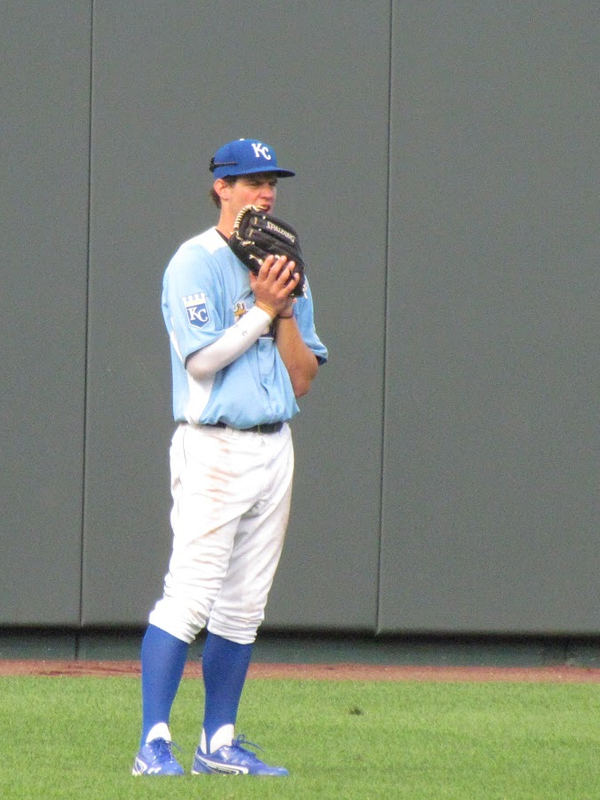 Selman was the Royals’ 2nd round pick in this summer’s draft, and like Zimmer, had a stellar debut in 2012. Sam went 5-4 in 13 games (12 starts) with a 2.09 ERA, 89 K, and a .199 AVG against in 60 innings pitched. He has developed into a real “power lefty”, as he’s able to get his fastball up to 98 on occasion. He also throws an above-average slider, giving him two plus-pitches. 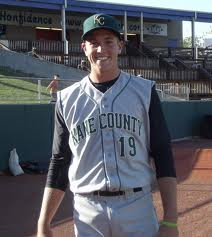 He’ll start his first full season of pro ball in one of the Royals’ A-level affiliates. Given his background as a college pitcher, Selman likely could progress through the system quickly. 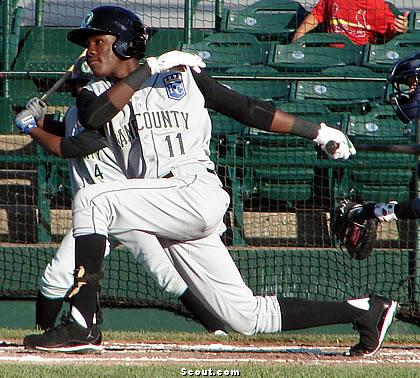 Orlando Calixte had a great second half in 2012 after being promoted to High-A Wilmington, where he hit .281/.326/.426. He possesses an above-average bat for his position, both average and power-wise, and is a terrific defender with a strong arm. Of the organization’s handful of talented shortstop prospects, Calixte is the closest to being big league ready. 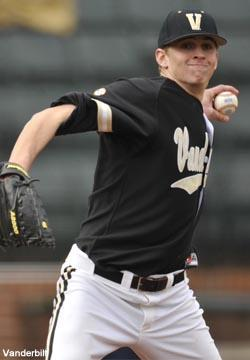 AA NW Arkansas is where he’ll start 2013, but could push for a promotion to Omaha quickly. Despite his 7-12 record in 27 starts at High-A Wilmington this season, Adam still managed to post a 3.53 ERA. He also recorded 123 K to just 36 BB in 158 IP and held opponents to a .238 AVG while averaging around 6 innings per start. Jason has average big league fastball velocity (90-92). Scouts believe he’s lost some velocity due to his new and much simpler delivery. But on the other hand, his new approach on the mound has allowed him to command his pitches better by limiting the hip turn and high leg kick of his old delivery. He still needs to develop solid second and third pitches (curveball and changeup), though he controls them well. Right now, Adam looks like anywhere from a no. 3-5 starter to most. He’ll pitch in NW Arkansas to begin 2013. The morning after the Omaha Storm Chasers fell to Reno in defense of their PCL title, the Royals promoted a handful a players from the Triple-A club. Among them was a name Royals fans have been clamoring for: Jake Odorizzi. Between Double-A and Triple-A this season, the righthander was solid: 15-5, 3.03 ERA, a 135/50 K/BB ratio, and a WHIP of 1.25 in 145.3 innings pitched (26 games, 25 starts). While Odorizzi was definitely deserving of a big league promotion, the move also comes with being added to the 40-man roster – meaning Jake will not be available to other ball clubs in the upcoming Rule 5 draft this winter. 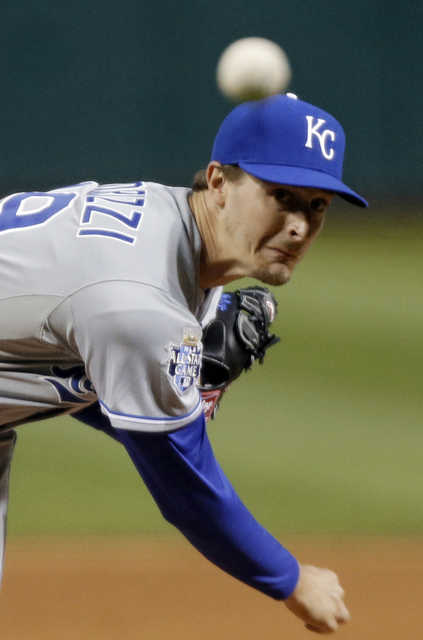 Fans in Kansas City have been calling Odorizzi’s name for most of the season, given the inconcistent performances of starting pitchers Luke Hochevar, Jonathan Sanchez, Bruce Chen, and the season-ending injuries suffered by Danny Duffy and Felipe Paulino. But Dayton Moore opted to keep Izzy in Triple-A through the remainder of their season to work on lowering his pitch count by using his pitches more effectively (he averaged only 5-6 innings per start this season) and compete for the PCL title. Given the heavy workload he’s already had this season, Odorizzi figures to just get a taste of big league action this season. Ned Yost has said that he’ll be in the bullpen for the time being, but is slated to start Sunday’s home game against Cleveland if he isn’t needed before then. He’s been given number 49. The others promoted to Kansas City are catcher Adam Moore, IF/U Irving Falu, LHP Tommy Hottovy, and RHP Nate Adcock. Noth Hottovy and Adcock figure to serve as extra bullpen depth, while Falu could see some playing time all over the field. Adam Moore was claimed off of waivers this July after the Mariners DFA’d him. The 28 year old hasn’t wowed anyone during his time in the majors (68 games, .197/.231/.295, 13 XBH (5 HR), 17 RBI, 72 K, 8 BB), but his line of .296/.381/.443 and 11 XBH (3 HR) in 35 games with Omaha this season has earned Moore a look. The Royals now have four active catchers: Sal Perez, Brayan Pena, Manny Pina, and Moore. 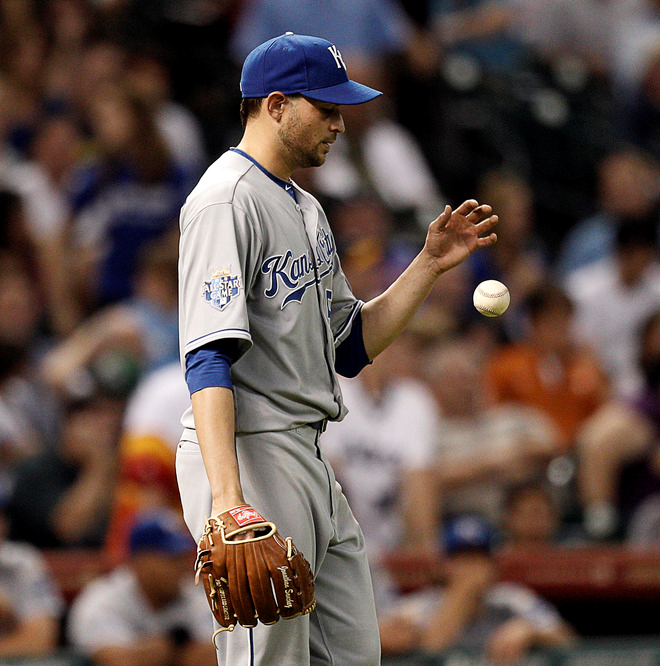 At 37-47, the Royals had a less than stellar “first half” of the 2012 season. They’re currently in 4th place in the AL Central and 9.5 games back of the Chicago White Sox (47-38). In what has been a notoriously weak division, the Royals have had many chances to control their own fate within the division. But thanks to a 12-game never-to-be-spoken-of-again losing streak, crippling injuries, terribly inconsistent starting pitching, and slumping bats, the Royals have yet to take that leap into contention. Currently, they’re on-pace for a 71-91 record. The Royals are getting to key players back tonight to kickoff this half of the season. 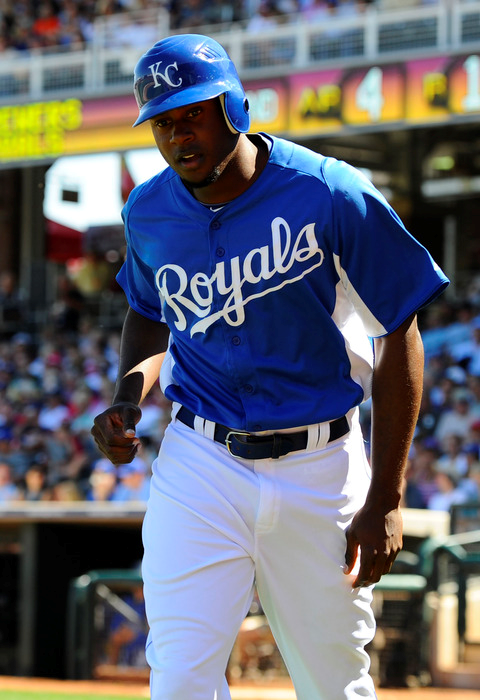 Both Lorenzo Cain and Chris Getz are scheduled to be in the lineup tonight as the Royals take on the White Sox. Lorenzo Cain has been out since April 10th when he strained his left groin after running into the center field wall in Oakland. He was close to returning to the lineup in late April before he tore his left hip flexor during a rehab assignment with Northwest Arkansas, causing him to extend his stay on the DL until this past Monday. Chris Getz has been able to see a little more playing time than Cain, even though he’s only played in 36 of the team’s 84 games (partly due to platooning with Yuni). Getz strained his left leg back in mid-June in the 1st inning of that glorious 15-inning win in St. Louis. In his place, the Royals have used Betancourt, Falu, and Giavotella. Before this stint on the DL, Getz was having a fairly good season – .290/.327/.380, 5 doubles, 2 triples, 8 RBI, 12 R, 6 SB (1 CS), and just 9 K to 6 BB. His ability to situationaly hit and steal bases will be welcome additions to a lineup starving to manufacture runs. The Royals are “sellers” now. Let’s just get that point out there from the get-go. Barring a miraculous winning streak, they’ll be battling it out with the Twins to say who can stay out of the AL Central cellar. But the Royals may have a few attractive trade pieces that could: a) bring value back in return; b) clear the way for a more deserving player; and c) invigorate the fan-base in what could be a long second half. Jonathan Broxton: Brox is performing well this season. He’s recorded 21-f0r-24 in converting saves and has a 1.99 ERA in 31 appearances. The former two-time All-Star was one of five players up for the final roster spot on the AL All-Star roster this season – so there’s no doubt as to whether Broxton has regained his form. He’s signed to a one-year, $2 million deal and will be a free agent at the end of the season – where in which the Royals will not be able to collect a compensation pick if he opts to sign elsewhere. His value right now is as high as it will ever be, although relievers anymore don’t often fetch a premium return. 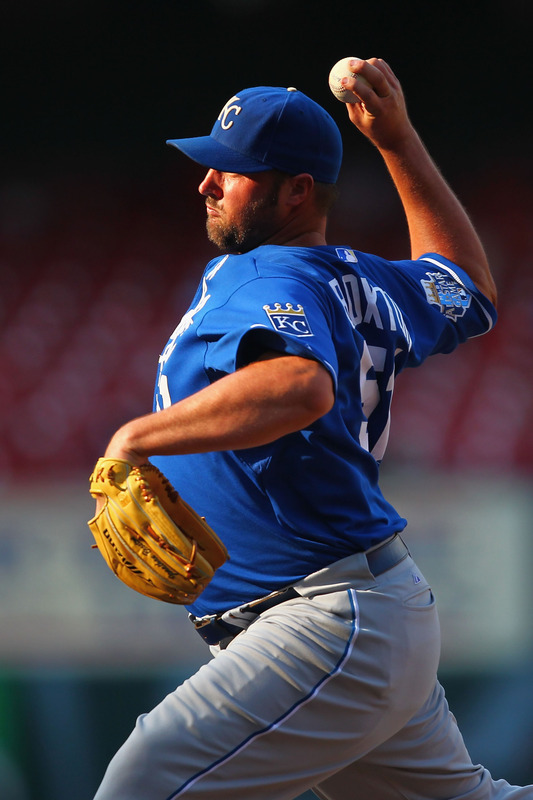 The Royals bullpen likely would be able to pick up the slack left by Broxton, with one of Crow, Holland, or Herrera shifting to the closer role. The New York Mets have been mentioned as a possible trade partner, though the Royals are looking for Major League-eady help in return. Me thinks: NY Mets (46-40), Toronto (43-43), or Boston (43-43). Jeff Francoeur: It’s time for the Dayton Moore to seriously think about life after Frenchy. Don’t get me wrong, I’m a huge fan of Jeff Francoeur. He’s a great guy to have in the clubhouse and I have no doubts in his work ethic at all. He gives all he’s got with every pitch of every game. But he’s hitting just .251/.289/.378 this season, knocking in only 25 runs while managing to hit just 7 homeruns thus far – which is not exactly what you want from a guy who’s trypically the no.5 hitter in the lineup everyday. But the main, loudest, biggest, over riding reason to rid our lineup of Frenchy: he’s blocking Wil Myers. Moving Francoeur won’t be easy. He’s currently in the first year of a two-year, $14 million deal, which is sure to keep trade partners at a minimum. The Royals would have to likely eat most of his contract if they want to move him. Teams in the playoff hunt looking for a lefty-mashing platoon partner will likely fill-up the Francoeur market. He won’t likely command a huge return. Me thinks: Boston (43-43), Pittsburgh (48-37), LA Dodgers (47-40), Cincinnati (47-38), or Miami (41-44). Yuniesky Betancourt: Outside of his defensive shortcomings, Yuni has been serviceable this season at second base. He’s been platooning there most of the season with a combination of Getz, Falu, and Giavotella and has even played a few games at third. Although his defense isn’t anything to write home about, he does have the ability to play second base almost every day while filling in at both shortstop and third, thus increasing his value to teams with injuries or teams looking for versatility off the bench. The Royals have an adequate replacement for Yuni in Irving Falu, so losing him won’t necessarily create any holes. He’s hitting just .242 and doesn’t take many walks, but he also doesn’t strikeout a ton and has adequate power (6 HR and 31 RBI in 165 AB). He’s only signed through 2012, so moving his contract won’t be an issue. Practically every team could use a versitile bench guy with some pop. Yuni may be able to be flipped for a reliever. Me thinks: San Francisco (46-40), Tampa Bay (45-41), Atlanta (46-39), or Texas (52-34). Jose Mijares: The Royals signed Mijares this offseason to a one-year deal after he was non-tendered by the Twins, and the lefty has been worth every penny thus far. In 41 appearances, covering just 33.1 innings, Jose has recorded 32 K to just 7 BB while surrendering just 6 earned runs (1.62 ERA). Given his IP vs. appearances, it’s easy to see that he’s a lefty specialist – a bullpen piece that nearly every big league manager covets. He’s able to be under team control for the next five years due to arbitration, which could be attractive to willing trade partners. A LOOGY by trade, he could be had fairly easily. Me thinks: Any team in playoff contention. Both Wil Myers and Jake Odorizzi have been dominant at the Triple-A level this season. Having said that, both are likely to see some playing time in Kansas City this season. The question is when. Jeff Francoeur is still on the roster and Lorenzo Cain is going to be given every opportunity to show what he can do in center field – effectively blocking Myers’ path. At sone point though, his number will be called; whether it be from a trade, injury, or as a September call-up. Odorizzi, on the other hand, will likely get the nod for the starting rotation soon. Other than Bruce Chen and maybe Luke Hochevar, nobody in the current starting rotation should be blocking Izzy’s path to Kansas City. 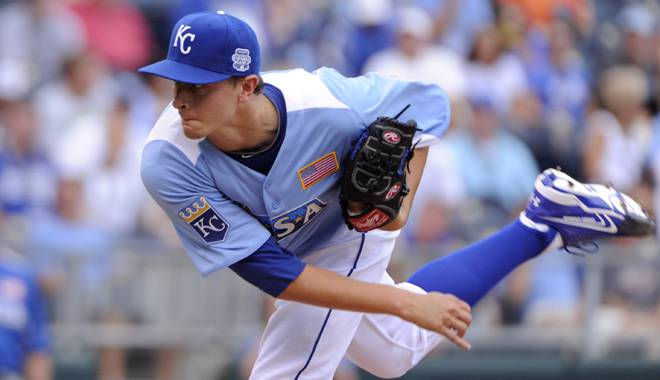 The Royals’ rotation is atrocious right now, and giving Odorizzi a shot to prove himself can only make it better. Then you have guys like LHPs Will Smith and Ryan Verdugo, OFers David Lough and Derrick Robinson, and 2B Johnny Giavotella who all have potential and could make an impact in Kansas City in the coming months. If KC had this lineup to begin the season, we might be thinking about the trade deadline a little differently. Okay, drama might not be the right word. For now, at least. But it is baffling to me that the Royals are still letting Jonathan Sanchez trot out to the mound every fifth day while he’s still surrendering more walks than strikeouts. “That’s just the way I pitch,” was Sanchez’s rebuttle when asked about his high walk totals. That may be the way he pitches, but that’s not the way any team wins. The guy’s body language stinks – which you’ve probably heard Rex Hudler say once or twice before. He has all the demeanor of a guy who either doesn’t love baseball or doesn’t want to be here. Either way, he’s gotta go. 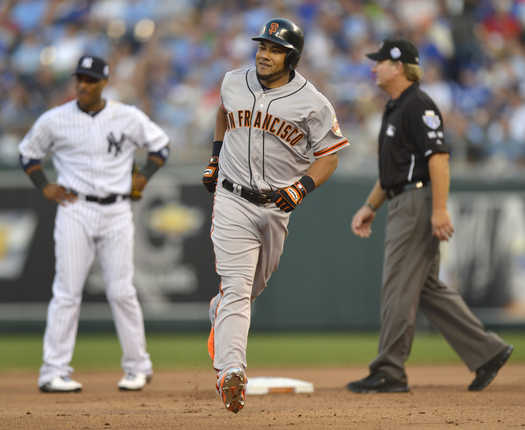 I know we gave up Melky for him, and gosh does that look bad right about now. But at the time, most of us probably would have made the same deal that Dayton did. 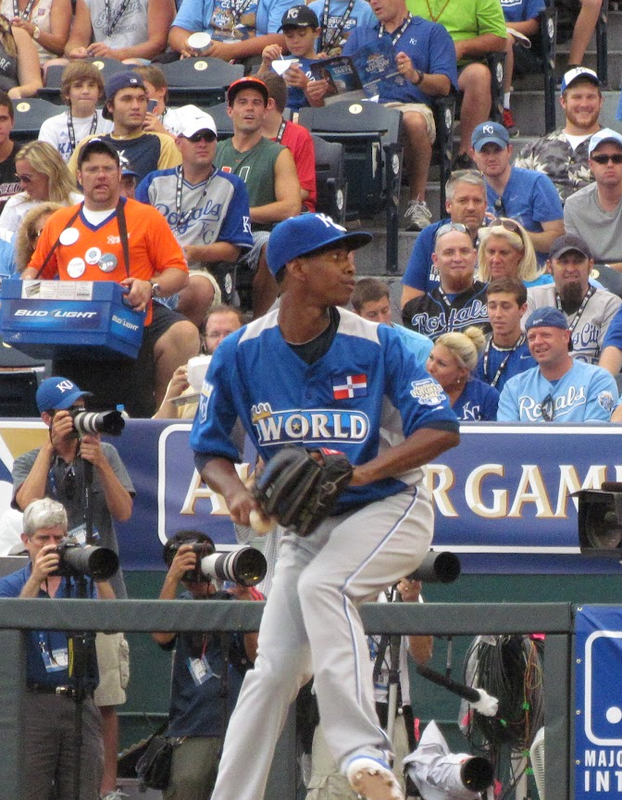 He’s a free agent at the end of 2012, and the Royals can’t possibly be contemplating bring him back for 2013 and beyond. But with a 1-5 record and a 6.75 ERA while giving up an average of 7.4 BB/9 to just 5.4 K/9 (not to mention a WHIP of nearly 2.00), trading him for anything but a bag of peanuts is likely out of the question.